Until the 1830s the Methodists in Goudhurst held their meetings in a building, now part of Weeks the bakers. This meeting room measured 18ft by 30ft and with a congregation numbering 76 in 1835 the accommodation must have been quite cramped, so it is perhaps not surprising that plans were then made for a purpose-built chapel. Thus in 1836, at a cost of £50, a piece of land between Stoney Lane and North Road was purchased and new chapel built and opened in 1837. However, this was not the large brick building seen today on the right as you go down North Road, but merely the small slate-roofed building to the rear of it (demolished in 2011/12). In addition to its use as a Methodist chapel, the small building also served during the daytime as a school run by Miss Betsy Williams. By 1851 the numbers in the congregation had grown to around 150 and perhaps space was again becoming an issue. However, it was not until 1878 that the large brick chapel was added to the western end of the original small building which it subsequently dominated. 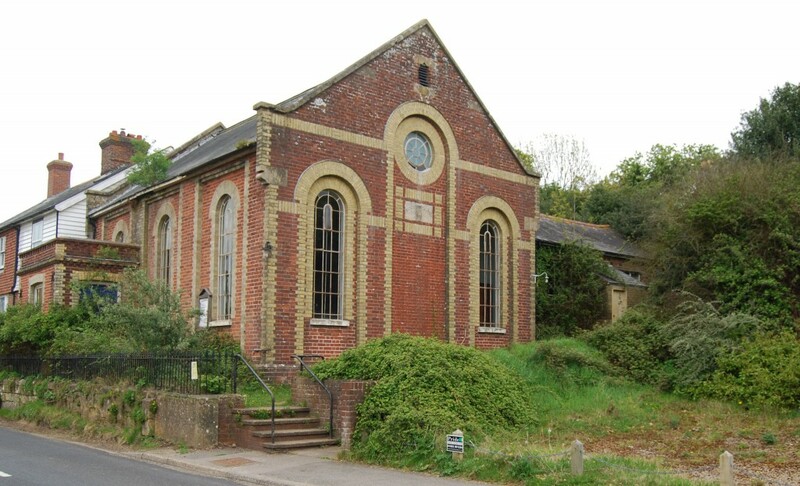 The latter then came into use as a Sunday school and, during the Second World War, it was also used as a classroom in which to teach the children who had been evacuated to the village from London. In 1978 the church celebrated the centenary of the new building. However, numbers in the congregation were already declining as people died or moved away and by the end of the twentieth century had dwindled to 10 members. Such a small number meant that it was no longer viable to keep the chapel going and it finally closed its doors in 2002. The building was sold in 2010 and has now been converted into a private residence.